The Virgin, John the Evangelist, and Mary Magdalene here mourn over the body of Christ on the hilltop of Golgotha. The city of Jerusalem is depicted in the left background, although the landscape shows the fertile green hills and valleys of the Low Countries. 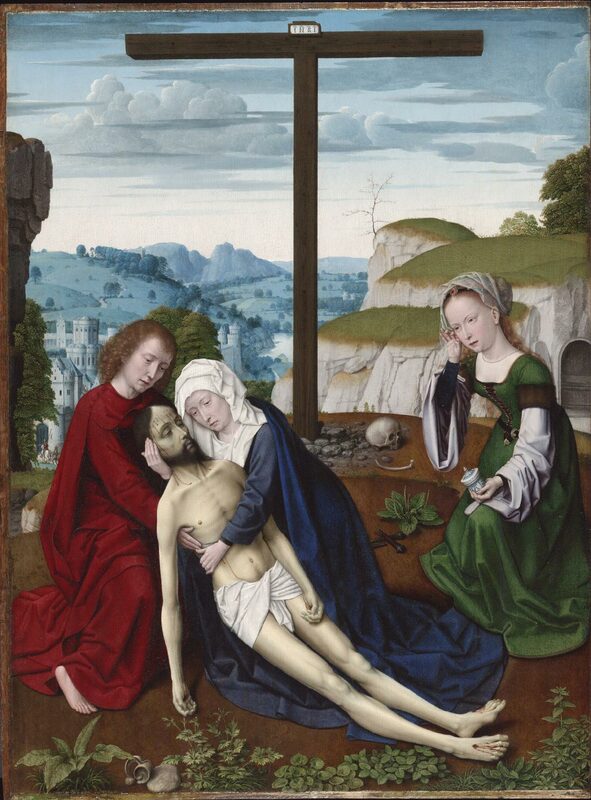 This subject was extremely popular among artists in Bruges, and several versions of it exist by Gerard David and others.